It might be a bit messy but it's worth it. 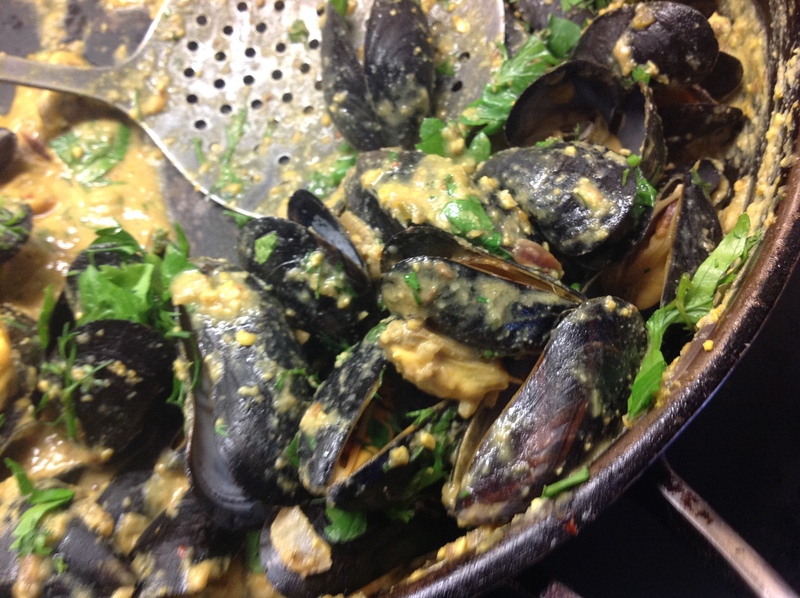 Add a little of the mussel cooking liquor to the sauce if it's too claggy. 1Fry the onion in the coconut oil for five minutes. Add the sliced chilli and, a couple of minutes later, the coconut milk. 2Put a cup of water into a large saucepan, add the mussels, cover with a lid and cook over a high heat, shaking the pan every now and again until all the mussels have opened and are cooked (3–4 minutes). 3Add the curry paste/onion/chilli mixture and gently fold everything together. 4Cook for a couple more minutes, add the coriander and serve.